In my younger years, I struggled with geography. North America? No problem. When we ventured across the ocean or dipped below the equator? Now we might have an issue or two. 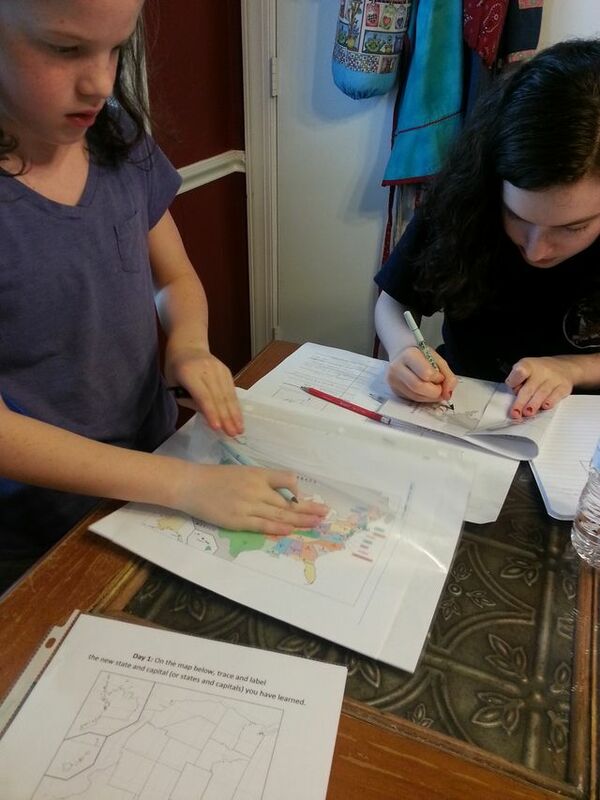 While I have never used a formal geography program with my children, geography is an important part of our learning. Whether we look at the map to locate where current events are happening, trace the path of a character in our literature studies, or play “Stump my Sibling” with a bit of map drill, my children are learning. I was intrigued by the concept of map drawing/drilling but wasn’t sure how to begin. Brookdale House given us the opportunity to review Drawing Around the World: USA could not have come at a better time! 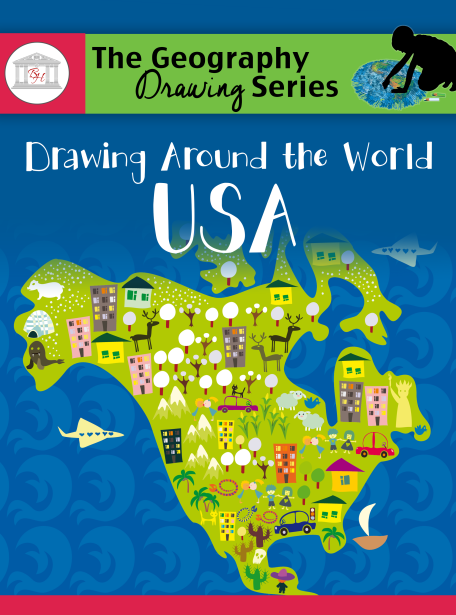 Brookdale House offers two different Drawing Around the World resources: Europe and USA. I was torn on which to choose. Ack! I finally went with the USA because the majority of my children are doing a year of American History. Memorizing and sketching the USA blends in perfectly with our focus for the year. For this review, I received the e-book copy. A printed copy is available for purchase. Drawing for Geography? What it this? The concept is very simple to understand and implement. 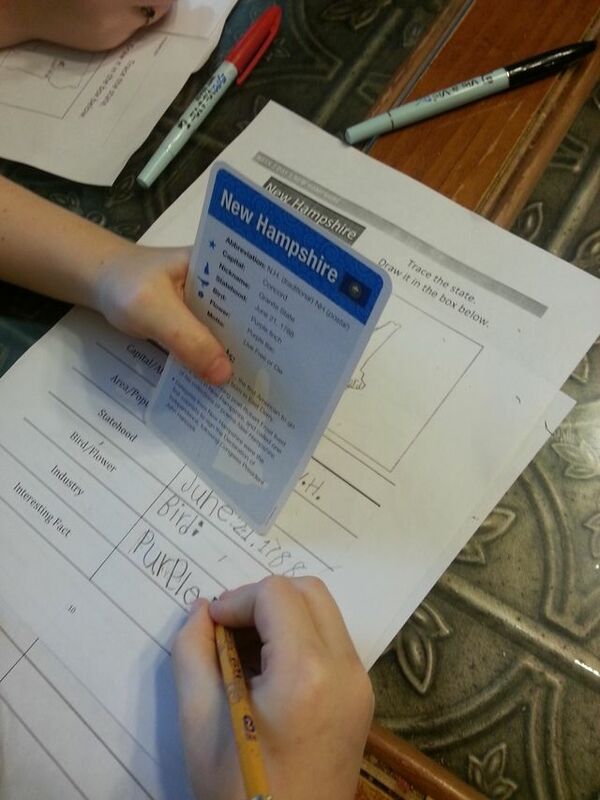 To help a child learn the locations of each state in the USA, the child learns a bit about each state and draws it. By not only locating the state on the map, drawing the state helps with retention. Drawing Around the World is not an art resource! Perfectly sketched states is not a requirement. This is a geography resource so don’t let the drawing aspect cause alarm. While some in my house are meticulous about getting the shaping of the state just right, most are like me and just do the best they can. You can check out a sample at Brookdale House. With a little bit of printing, this program is almost open and go. A weekly schedule is given to you to make sure the student practices what she is learning. Day 1 – Introduce the state/s. Most weeks only one state is introduced. There are a few times when two or more are given in one week. In Week 19, four states are covered. However, they are larger states like Missouri and Arkansas and not difficult to master. 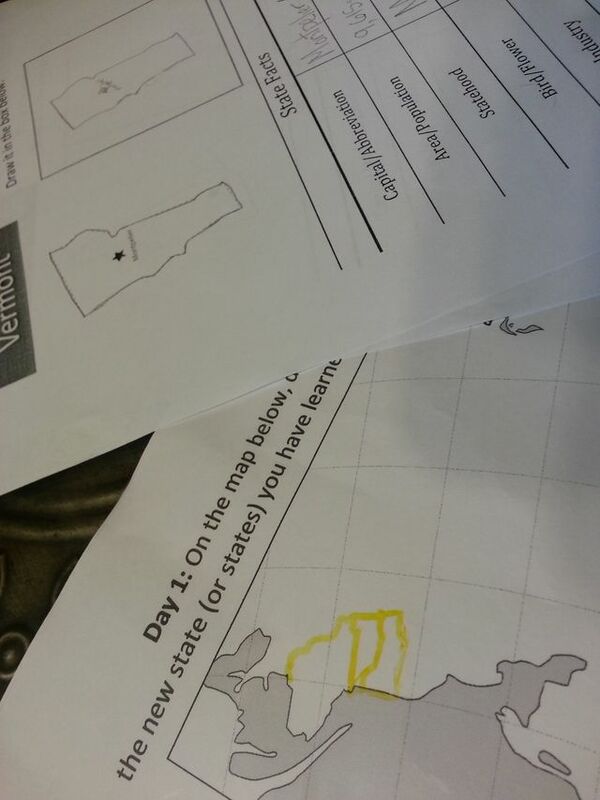 Day 2 and Day 3 – Practice all the states covered by using the dashed line maps and then drawing free hand on the blank USA map. Day 2 and Day 3 are perfect times to incorporate timed map drills if your children enjoy a bit of competitiveness to stay motivated. Day 4 – This is your very informal “test day”. States covered are listed by memory. Then inside a blank text box, all states covered are drawn. No dashed lines to trace and no latitude/longitude to help with placement. For me this is so hard! I am not good at visual placement and spacing. My children have a much better eye. You repeat these four days each week. In just 27 weeks, your child will be able to draw from memory the USA! Drawing Around the World: USA is not limited to any specific age. We used it in our home with ages 5 – 16; seven of our nine children. The three year old “played” map drawing at the table with us. We shared in the research of the basic state information and the older ones helped the younger ones out with spelling and such. When it came to the actual drawing, everyone worked independently. I was very impressed with how well even the younger ones completed the tasks. Printing new maps each week with seven children can add up quickly. To help with printing costs and to save a few trees, I printed seven copies of the dashed line map, blank USA map, and the blank text box. Those went into sheet protectors so they children could practice as often as they wanted with wet erase markers. I also printed out the color USA maps included with Drawing Around the World for quick reference. Drawing Around the World: USA begins in the northeast portion of the USA, works southward to Florida and then slowly progresses to the west. Naturally it makes sense to teach the states in an order that they join together but it also flows really well with American History studies. For those of us who implement a Charlotte Mason philosophy in our homeschool, Drawing Around the World works beautifully. It only takes about 10 -15 minutes to do a bit of sketching with the states. Another plus? Since Drawing Around the World e-book is a digital product, I can use it again and again over the years. Who doesn’t love a budget friendly resource? Next year when we begin our World History studies, I definitely see Drawing Around the World: Europe on the resource list. Brookdale House offers more than just geography resources. TOS Crew members reviewed grammar, Spanish, and Writing Through History. Take a peek! This entry was posted in Homeschool, The School Table, TOS Crew Reviews and tagged curriculum, geography, Homeschool, review by sweetie. Bookmark the permalink. Where did you find the little reference cards for the states? – the one picture your child is holding a new Hampshire card.